Ward, 45 kilometres south-east of Blenheim and 83 kilometres north of Kaikōura on State Highway 1, is the centre of a farming district. The township was established after 1905 when the Liberal government of the day, in which Joseph Ward served, bought the Flaxbourne estate and subdivided its lands for the closer settlement scheme. 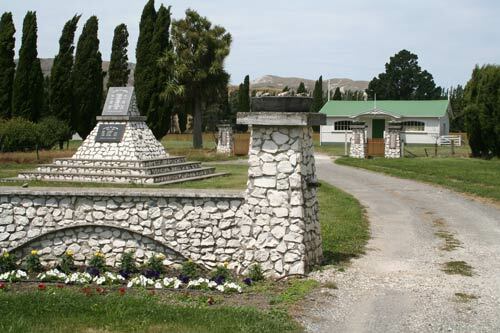 This monument and gates are war memorials located at Ward domain, with the pavilion and club rooms in the background.